support to our customers through electronic delivery methods.  Assume responsibility and is accountable for adherence to Bank policies and procedures. 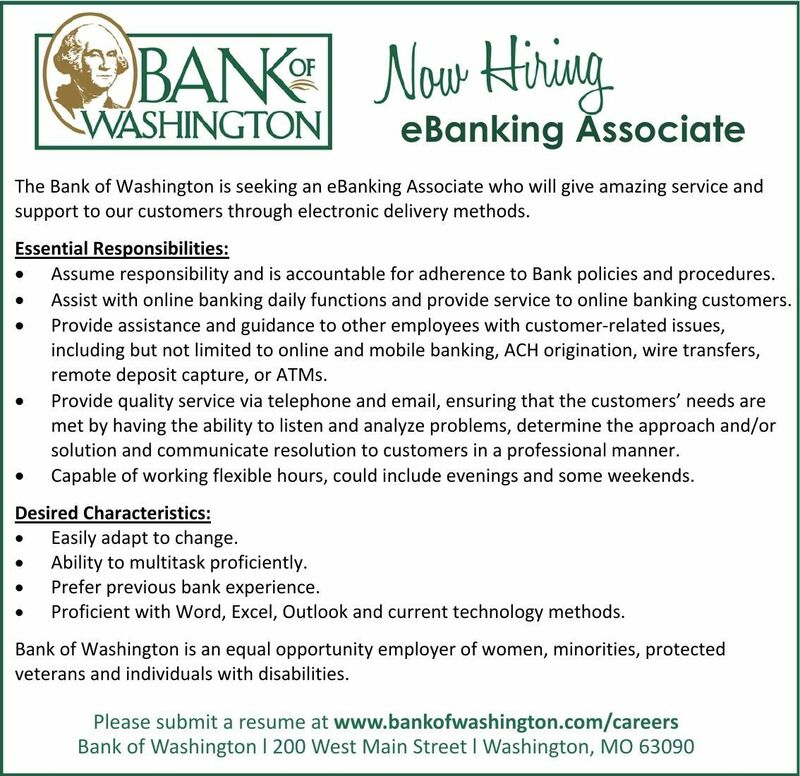  Assist with online banking daily functions and provide service to online banking customers. remote deposit capture, or ATMs. solution and communicate resolution to customers in a professional manner.  Capable of working flexible hours, could include evenings and some weekends.  Easily adapt to change.  Ability to multitask proficiently.  Prefer previous bank experience.  Proficient with Word, Excel, Outlook and current technology methods. veterans and individuals with disabilities.